In Numbers 19:1-22 we find a command for the sacrifice of a red heifer and the usage of its ashes. These verses describe a sacrifice that is unlike any other and that is central to Old Testament purification. For almost two thousand years there has been no red heifer meeting the specifications necessary from which this ash can be made. But recently there are reports of the birth of such a calf in Israel. This has led many Christian preachers that teach the prophecy view of “Dispensationalism” to tell their audiences this calf is a fulfillment of Bible prophecy, whose arrival means the construction of the third Jewish Temple cannot be far behind. Dispensationalists believe that most of the prophecies about Israel are to be read literally as written. This creates a prophecy view that has God’s plan for Israel being different than His plan for the Gentiles (non-Jews). Their claim about this calf is nothing new for them for they have made the same claims about other red calves in the past. Each time they did this they ignored the obstacles that blocked their predictions. The obstacles I speak of are commandments in the Bible, each of which must be met before any red heifer can fulfill God’s requirements for sacrifice. This study will explain why these requirements have not been met in the past, and why they cannot be met now or at any time in the future. I remember when a red calf named Melody was born in Israel in August 1997. The news at that time proclaimed Melody was the first red calf born in centuries that met the biblical stipulations. It was expected that once she reached age she would be sacrificed to create the red heifer ashes necessary for Jewish purification. This hubbub didn’t last long because as Melody grew, the rabbis found her sprouting different colored hairs. The result of her not being a true redhead made Melody’s ashes unkosher for ritual purification. “The ceremony of the Red Heifer is a purification or cleansing ceremony. G-D is approachable in the pure state. He demands it. Purification is a ceremonial process by which ‘things’ are made holy that one may approach G-D Who is holy. For this purpose are the ashes of the Red Heifer to be used. The physical ashes of the Red Heifer according to G-D have the ability to make a thing or person ceremonially pure or clean. Notice that Richman explained that purity is needed to make the impure pure. Thus, he believes a pure red heifer must be sacrificed to resupply these ashes before any Jew can begin the building the third temple. This would be a completely red animal with no defects and has never worn a yoke (see Numbers 19:2). The last red heifer ashes were lost during the 70 AD destruction of the Second Temple. As a result, every Jew from that time until now is considered ritually unclean according to Old Testament Law. Because of this absence, Rabbis like Richman have been waiting on an animal to be born that can fulfill God’s command for purification. The red heifer is chosen by the purity of its coloring. To date every calf thought to qualify was later disqualified because they did not meet rabbinical scrutiny. But even if a red heifer is found acceptable, only a priest that is ceremonially clean can prepare it for its ashes. Such purification requires the sprinkling of the ashes of a red heifer (see Numbers 19:9). Without these ashes, no priest is ceremonially clean, which means, no priest can burn a red heifer for its ashes. So, a priest cannot burn a red heifer to make red heifer ashes unless he is first cleansed by the ashes of a red heifer. This endless cycle makes the birth of a red heifer, without already having the ashes of a red heifer, a Catch-22. So, when Prophecy Teachers print in their magazines or broadcast on their radio or TV shows that furnishings, garments, and red heifers are being readied for a “third Jewish Temple,” just remember that these things mean nothing without a purified red-heifer-ash-washed priest. I will next explain why a cow not being a true redhead is not the only thing standing in the way of it becoming red heifer ash. Tracking your lineage to your “paternal grandfather” would in no way satisfy what is biblically commanded to qualify a man to be a Jewish priest. Hank Greely, a law professor at Stanford University, has studied this new field. He worries that people don’t realize just how many ancestors they actually have. 1,048,576 to be exact. And in each generation, DNA testing can provide information about only two of them. Not only do those candidates hoping to perform animal sacrifices or become the Jewish High Priest need a written lineage proving they have a pure Kohanim bloodline, but more specifically, they must prove they are from the priestly line of Zadok (see Ezekiel 43:19, Ezekiel 44:15-17, Ezekiel 48:11-12). Why a lineage from Zadok? It is no coincidence that the name Zadok means “righteousness.” It appears his descendants were chosen because of Zadok’s faithfulness to David’s throne. He stood with David during the time of Absalom’s rebellion (see 2 Samuel 15:24-29). He also stood with Solomon in preference to Adonijah (see 1 Kings 1:8, 1 Kings 1:39). Because of his fidelity, God made Zadok’s decedents the exclusive line of priests to serve at the altar of sacrifice and in the office of High Priest. The dilemma for Dispensational teachers is there is no such written lineage to prove who is and who is not of the priestly line of Zadok. DNA testing certainly cannot do this. Nevertheless, the Bible demands a proven lineage, for, without it, there can be no purification from the ashes of a red heifer…ashes which only a Zadok priest can prepare…and the problem goes around and around and around (see Numbers 19:3–10). “Despite the acceptance of proselytes the equals of unborn Jews, in Jewish Law certain limitations are placed upon the convert, the most oppressive being that of a priest (Cohen) may not marry a convert, although a daughter of a Cohen may marry a convert. The reason offered is since early proselytes came from heathen stock, they were considered tainted. Therefore, a priest, who was expected to be as unblemished as the sacrifice he offered on the altar, was not permitted to marry a woman whose past life might reflect negatively on his character, or stigmatize his offspring. Did you see that Kolatch admitted that today “There is no way to prove that they are descendants of the family of Aaron of the tribe of Levi”? 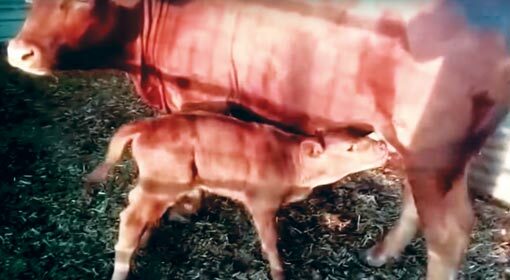 That should be enough to silence those Christians claiming this newly born red heifer is evidence of a soon to be built third Temple—but, shockingly, it is not. Now that I’ve shared why no red calf will ever align with Bible prophecy, let’s look at how Bible prophecy is already fulfilled through its sacrifice. The red heifer had to be free from blemishes. Does this describe Jesus? Yes, it does. Here’s a partial list of those who examined Jesus and declared Him blemish free: John the Baptist (John 1:29-30), Pilate (see Luke 23:4, Luke 23:14), Herod (Luke 23:15), the Apostle Peter (see 1 Peter 1:19, 1 Peter 2:22), and the High Priest and Jewish Sanhedrin found Him so blemish free they were forced to seek false witnesses to bring false accusations (see Matthew 26:59-60). The red heifer was sacrificed a distance from the Temple. Does this describe Jesus? Yes, it does. After Pilate pronounced his decision, Jesus was led away to “Calvary,” which is also called “Golgotha” (see Matthew 27:33; Mark 15:22; John 19:17) and “the Skull” (see Luke 23:33). His cross stood a short distance outside Jerusalem and her temple, thus He suffered outside the camp (see Hebrews 13:12). The red heifer sacrifice was a perplexity and not easily understood. Does this describe Jesus? Yes, it does (see 1 Corinthians 1:18, 1 Corinthians 1:23). The red heifer sacrifice stumped the sages. They could not understand how the priest making the sacrifice was ritually unclean while the one sprinkled was ritually clean. Their confusion was because they did not understand the substance of this sacrifice would be fulfilled in Jesus. The pure being made impure is when Jesus, who knew no sin, took sin upon Himself on the cross. This action made sinners [the impure] into sinless saints [the pure] (see Hebrews 9:11-28; 2 Corinthians 4:3; 2 Corinthians 5:21; 1 Peter 2:24). This aligns to the command that the red heifer have a perfect coat of red. The color red is viewed as symbolically speaking of sin. Only through Jesus can red be made white like snow (see Isaiah 1:18; Revelation 7:14). And, like the red heifer’s sacrifice included an emphasis on its blood, Jesus’ blood is what washes away the stains of sin (see 1 John 1:7; Revelation 1:5). The red heifer sacrifice was a type of cleansing for Leprosy. Does this describe Jesus? Yes, it does. The Bible requires items used to cleanse a leper be burned with the red heifer sacrifice. These were cedar wood, scarlet yarn, and hyssop (see Leviticus 14:4). Biblically, leprosy is a type of sin. Jesus became all that is needed to cleanse a man or woman of their sin (see Matthew 8:3; Mark 1:42; Luke 5:12-13; Psalms 51:7). When red heifer ashes are mixed with fresh running water (living water) they create “water of separation.” Does this describe Jesus? Yes, it does. (see Numbers 19:9, Numbers 19:17). The “separation” in Numbers 19:9 is the Hebrew word “niddah” (H5079). In the Torah, niddah speaks of a woman’s impurity during her menstrual cycle. The following verse has the prophet Zechariah speaking of a time when a coming purification would cleanse the people of God from their niddah: “On that day there shall be a fountain opened for the house of David and the inhabitants of Jerusalem, to cleanse them from sin and uncleanness (niddah)” (Zechariah 13:1 ESV). Jesus is that fountain (see 1 Peter 1:2; Hebrews 12:24; Revelation 1:5). The “water of separation” created a means by which God’s people are made clean from their impurity of sin and its death (see Ephesians 5:25-6; Hebrews 10:22). The red heifer was unique, for it is the only sacrifice in the Torah that cleansed a person from their nearness or contact with death. Does this describe Jesus? Yes, it does. A corpse is symbolic of sin and death. Jesus’ sacrifice cleanses those who are Born Again in Jesus name from their sin and the death that accompanies sin (see John 3:5; Mark 16:15; Luke 24:47; Acts 2:38; Acts 22:16). As a result, the sacrifice and purification Jesus provides is unlike anything found in the Bible (see Luke 1:35; John 1:1-2, John 1:14; Matthew 17:5). The Talmud has the tenth red heifer being sacrificed by the Messiah when the third Temple is built. Does this describe Jesus? Yes, it does. Though the Talmud is not inspired scripture, Jesus’ sacrifice did occur before the building of the third Temple (see John 2:19). Remember, Jesus never prophesied of the building of a stone and wood third temple. Neither did any of His apostles. What they did speak of is a New Covenant Temple that would be built from “lively stones,” which means, it is built from the assembly of Jesus’ believers. This new building would be the place where God dwells (see John 14:15-17, John 14:23; 1 Corinthians 3:16, 1 Corinthians 6:19; 2 Corinthians 6:16; Ephesians 2:18-22; Hebrews 3:6; 1 Peter 2:5). The sacrifice of the red heifer and its ashes did make the defiled ceremonially clean. However, the purification spoken of in the Law, Psalms, and Prophets would be a cleansing that would come through the prophesied Messiah. This is not a yet unfulfilled promise since it is already available through the Messiah, Jesus Christ! While working for a prophecy magazine some years ago, I had the opportunity to talk with some Jewish men who have devoted their lives to building the third Jewish temple. These men are often known by Dispensational teachers who teach a “soon coming” third temple. However, none of these men had access to the things necessary before this temple can biblically begin. Though this is true, the organizations these men represent are partly funded by well-meaning Christians. Make no mistake, when the first and second Jewish temples existed, they stood as God’s salvation plan to mankind. Hence, if a third temple is built it will represent the same. So, how can a believer financially support the rebuilding of the Old Covenant system of animal sacrifice and also say they believe Jesus’ sacrifice replaced that system with a better New Covenant plan of salvation? I ask this because the core message in these two testimonies is clearly at odds with each other (read 2 John 1:10-11). 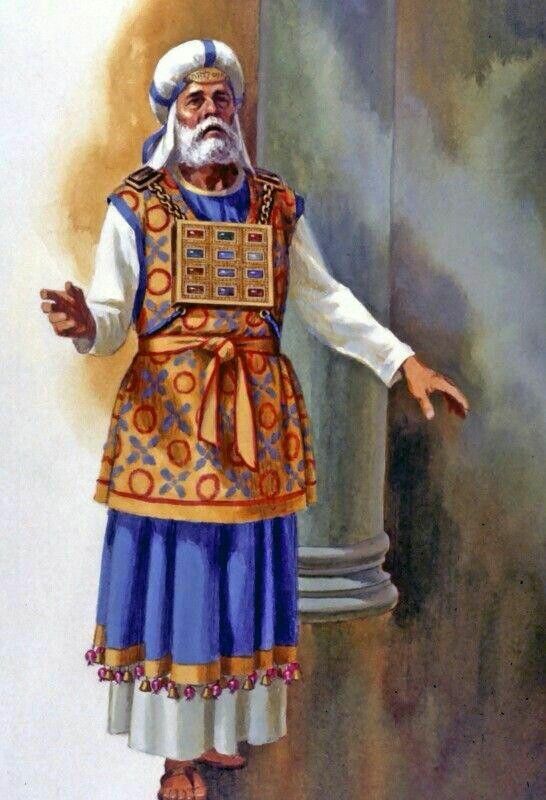 I am hoping those who have read this study can now agree with what Jewish Rabbis know to be true, which is, there exists today no written lineage proving a pure bloodline of Zadok, and without such evidence, no man can meet the specifications God established for becoming a Jewish priest. What this means is nothing relating to red heifers, red heifer ashes, or the building of the third Jewish Temple or its furnishings can be described as a “fulfillment of Bible prophecy,” or even as one that is “the greatest fulfillment since the crucifixion of Jesus Christ.” That said, there is a prophecy message still needing to be told, which is that the tenth and last red heifer has already been born and sacrificed for the purification of those defiled by the death and uncleanness of this world. This purification was not fulfilled by a red cow named Melody, or by any other animal, but instead, it comes through the name of the prophesied Messiah, Jesus Christ! © 2018 TK Burk. All Rights Reserved.